Apart from astonishing skyscrapers, these days UAE visitors are attracted to another setting. All eyes are hooked into the 15th tournament of the FIFA U-17 World Cup games that are being hosted at various stadiums across the tiny Persian Gulf country. Kicked off on October 17th, the games will continue until November 8th. Formerly known as U-16 Championship, FIFA U-17 is the ultimate heaven for club scouts to identify the next rising star/s. In fact, it was in one of Youth World Cup games that Argentina’s Lionel Messi was first spotted by Barcelona. Throughout the 18 year history of the FIFA U-17 games, Nigeria has been the most successful youth team with three titles and three runner-ups. Brazil, hardly a shocker, is right after with Ghana and Mexico following suit. Divided into 6 groups, 23 teams representing 6 different continents are vying for this year’s U-17 World Cup glory. The top two teams in each group will automatically advance to the knock-out stage while the top third-place teams will fill the remaining 4 spots. 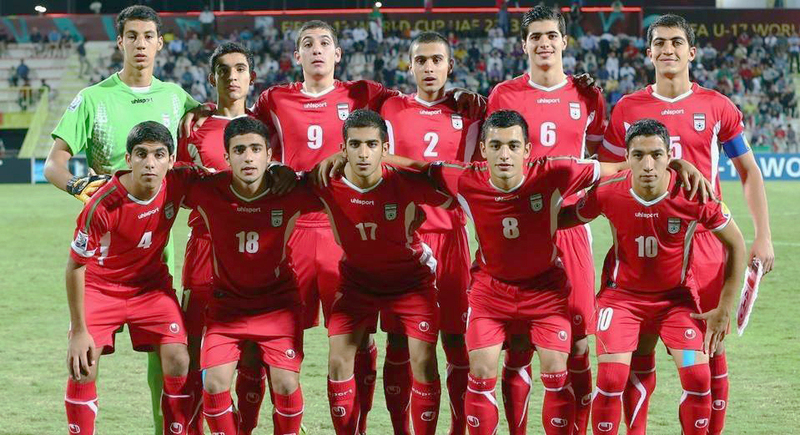 Positioned in Group E alongside Canada, Argentina, and Austria, Iran managed to advance to this year’s U-17 world finals, after having missed the last round in 2011. Iranian youth players, led by Coach Ali Doustimehr, have shown great determination thus far, shining against South American giants, Argentina, in their first game. Defender Mostafa Hashemi scored the fastest goal of the tournament in the very first minute of the match. Hashemi’s beautiful volley from outside of the box left the Argentine side completely stunned. Beyond initial expectations, Iran managed to come off with a point after Sebastian Driussi scored the equalizer in the 15th minute. Iran’s coach, Ali Doustimehr, is pushing the youngsters to show their edge, not only for the next critical fixture but also for the scouts’ eyes that they are worth the chance to play in European leagues. 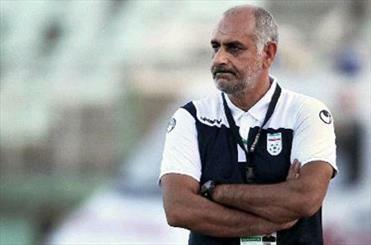 In their second game, played on Tuesday, October 22nd, Iran came face to face with Canada. Although the Iranian side was superior in possession throughout the match and took the lead in the 9th minute, the Canucks managed to spring back to life due to a few defensive mistakes by the Iranians. With these results, Iran is now ranked 3rd in their group with 2 points as Argentina sits on the top. Placed second, Canada leads Iran thanks to their goal difference advantage. 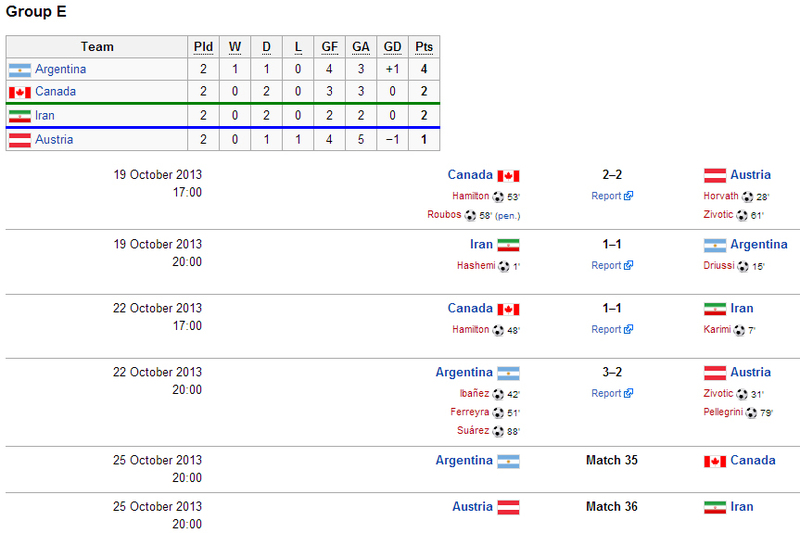 Iran will face Austria in their next fixture on Friday, October 25th and Canada will face off against Argentina. Depending on the results, Iran will either advance directly to the knock-out stage or at least have to try to score as many goals as possible to have a chance amongst best 3rd place teams. If Iran loses the game against Austria, they may all but say goodbye to the Tournament. Niloufar Momeni is a graduate of the Information Technology program at York University and is currently working in the field of Digital Marketing. She has been a passionate soccer fan for as long as she can remember and has also worked as a sports journalist. She is a regular columnist at “Soccer Without Limits” and “Goal” websites and has her own soccer weblog “womenforfootball.com”.